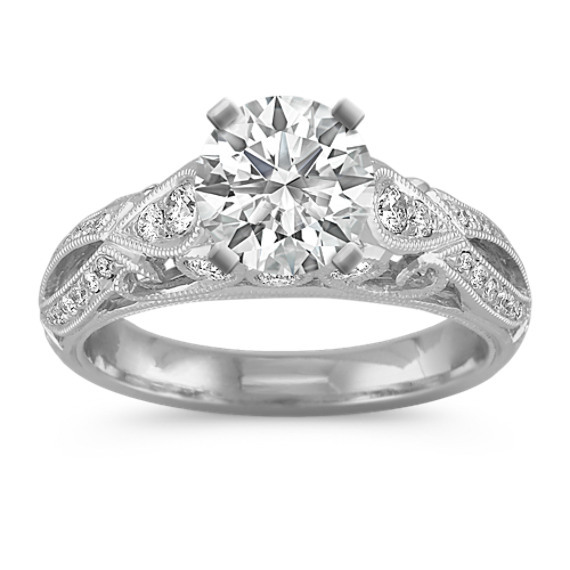 As part of our exclusive Couture by Shane Co. collection, this exquisite vintage engagement ring is crafted in quality 14 karat white gold and has ornate detailing throughout every angle. Thirty-eight round pavé set diamonds, at approximately .41 carat total weight, will beautifully highlight the center diamond of your choice. Perfect ring! Really grabs the light! Perfect shine and compliments any diamond well!!! !